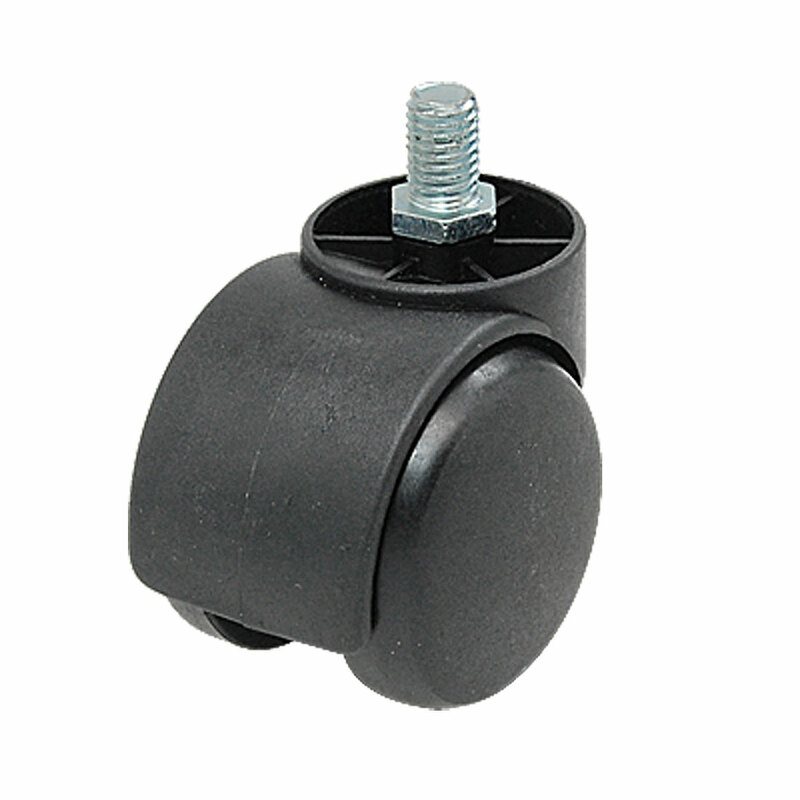 * 10 Pcs 1 Inch Swivel Caster Wheels Nylon 360 Degree Threaded Stem Caster Wheel, M10 x 15mm, 22lb Capacity. * Get smooth, quiet rolling and full swivel action, all while protecting your floors. * Perfect replacement for home or office chairs that have hard, noisy, rough plastic wheels. * Note: Each caster capacity is 10kg, total capacity for all 4 casters is 30kg (calculated by 3 casters ). Because when the road is uneven, there will be only 3 casters bearing weight.